The project is based on microcontroller board designs, produced by several vendors, using various microcontrollers. These systems provide sets of digital and analog I/O pins that can interface to various expansion boards (termed shields) and other circuits. The boards feature serial communication interfaces, including Universal Serial Bus (USB) on some models, for loading programs from personal computers. For programming the microcontrollers, the Arduino project provides an integrated development environment (IDE) based on a programming language named Processing, which also supports the languages C and C++. The first Arduino was introduced in 2005, aiming to provide a low cost, easy way for novices and professionals to create devices that interact with their environment using sensors and actuators. Common examples of such devices intended for beginner hobbyists include simple robots, thermostats, and motion detectors. 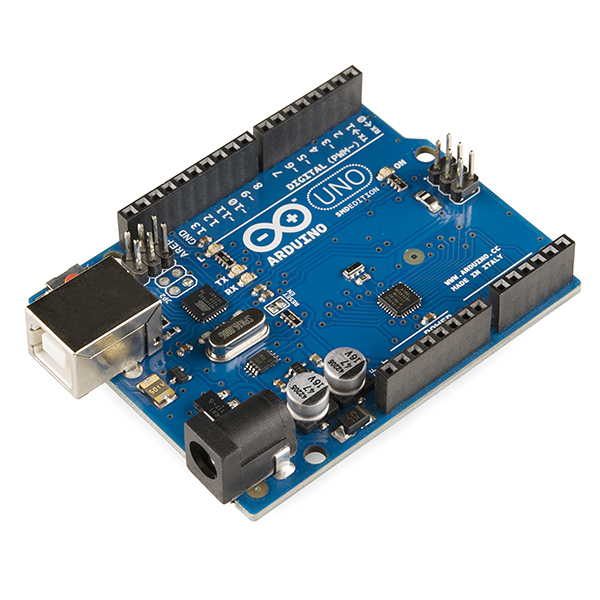 Arduino boards are available commercially in preassembled form, or as do-it-yourself kits. The hardware design specifications are openly available, allowing the Arduino boards to be produced by anyone. Adafruit Industries estimated in mid-2011 that over 300,000 official Arduinos had been commercially produced, and in 2013 that 700,000 official boards were in users' hands.